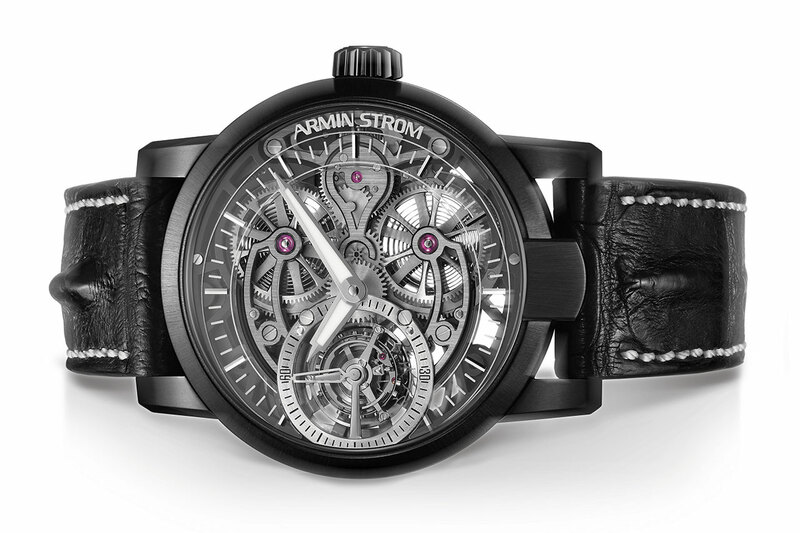 Introducing a new rendition of Armin Strom's aesthetic inspiration. True to a now established principle, the Tourbillon Skeleton collection embraces the theme of the four elements. A first version in natural steel with blue accents was named Water. A second, in pink gold and brown tones, answered to the name of Fire. Another in lighter titanium took the name of Air. The version in black PVD-treated steel is known as Earth. 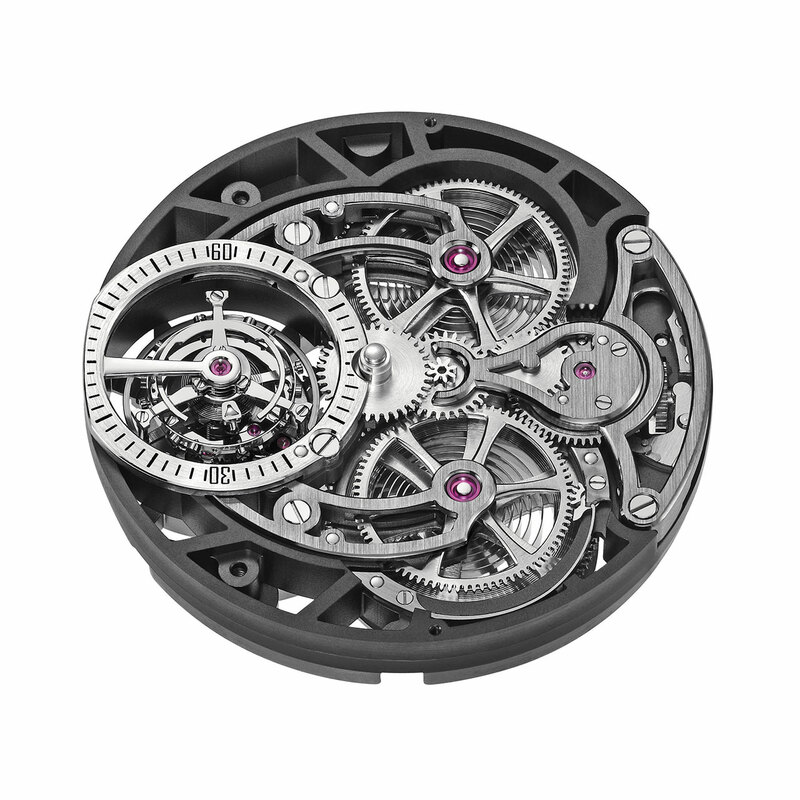 At the same time, the Biel-based watchmaker demonstrates the skeletonwork in which it excels. 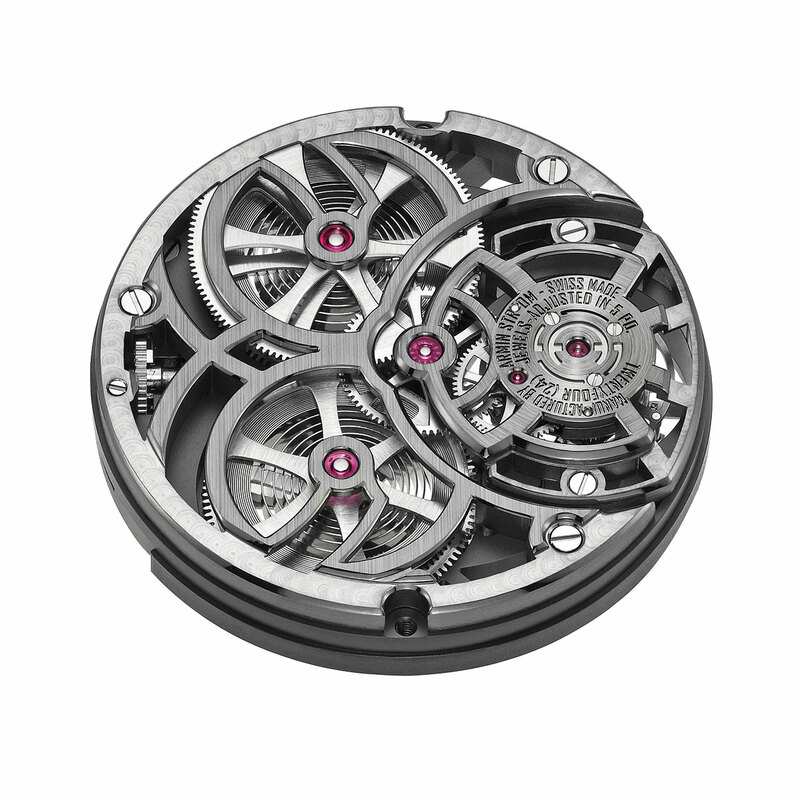 Thus the Tourbillon Skeleton Earth accentuates its structure through extensive skeletonisation of the ATC11-S calibre. This exclusive in-house movement integrates a tourbillon regulator whose components are also skeletonised. The prowess lies in this mastery of technique, with a movement that delivers a full 10 days of power reserve, but also in the spectacular sight enclosed within the 43.40-mm black case. Mechanical hand-wound, ATC11-S skeleton calibre, tourbillon regulator, 18,000 vib/h, 184 components, 34 jewels, twin barrels, 10-day power reserve. Hours, minutes, small seconds on the tourbillon. Stainless steel with black PVD treatment, 43.40 mm. Anti-reflective sapphire crystal, front and back. Water-resistant to 50 m (5 bar/165 ft). Annular sapphire dial with founded appliques. Off-centre display with small seconds on the tourbillon at 9 o'clock. Black hornback alligator leather with black PVD-treated steel folding clasp. Delivered with an additional black rubber strap.